Reading and share top 215 Patricia Briggs famous quotes and sayings. 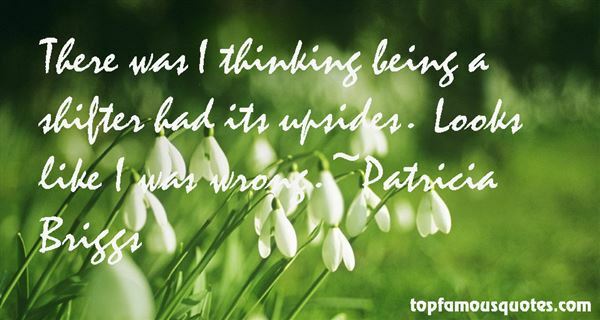 Browse top 215 most favorite famous quotes and sayings by Patricia Briggs. A man who graduated high in his class at Yale Law School and made partnership in a top law firm would be celebrated. A man who invested wisely would be admired, but a woman who accomplishes this is treated with suspicion." What Did Patricia Briggs Talk About?